I slept in today until almost 10 am. I'm not exactly an early riser, but that's a little late for even me. The house was quiet, and I assumed the kids had followed suit and slept in as well. Imagine my surprise when I found them both sitting on my son's bed...reading. "Surprise?" You say. "Kat, surely your kids read all the time. You love books. You read all the time. You write books, for cryin' out loud. Your kids must love to read." My son was an early reader. He started at the age of four. By the end of first grade he was reading at a fifth grade level. Now in fifth grade, he reads at about an eighth grade level. But he's never wanted anything to do with fiction. I've tried everything. Magic Treehouse, The Dragonslayers Academy. I tried reading Harry Potter out loud to him. "Boring, Mom. Can't we just watch the movies?" My heart broke...how can someone with half my DNA not love J.K. Rowling's writing? So, today. Both, reading by choice! I nearly cried :). My daughter has discovered the joy of Dr. Seuss. "I do not like green eggs and ham, I do not like them, Sam-I-am." She can read an entire book now and sound out every word. So proud of herself, and rightly so! And my son--what finally did it for him? Well, a friend of mine, Diane Graham, sent him a copy of a book published by Port Yonder Press. 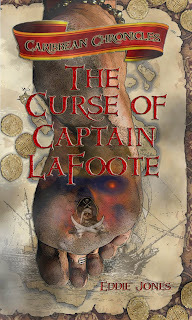 The Curse of Captain LaFoote, by Eddie Jones. He's on chapter five, and so excited to find a book that is holding his interest. Not a typical Friday morning before....but maybe from now on? I sure hope so! I remember when I took my firstborn to the public library for the first time. She was 5 or 6, I think. She cried when we were leaving. I mean a very hurt, pitiful cry. People came up and asked me what happened, because she truly sounded injured, bleeding, needing an ambulance, or something. I told them it was because the library had a check-out limit and she had to put some of her treasures back on the shelf. Seems only being allowed 10 books broke her heart. Sheesh, you'd think a five year old wouldn't need more than 10 books a week! Next time we brought MY library card, so she could get the adult limit PLUS the kid limit. I'm glad that was enough. I didn't own a wheelbarrow to lug all these books! Yup! 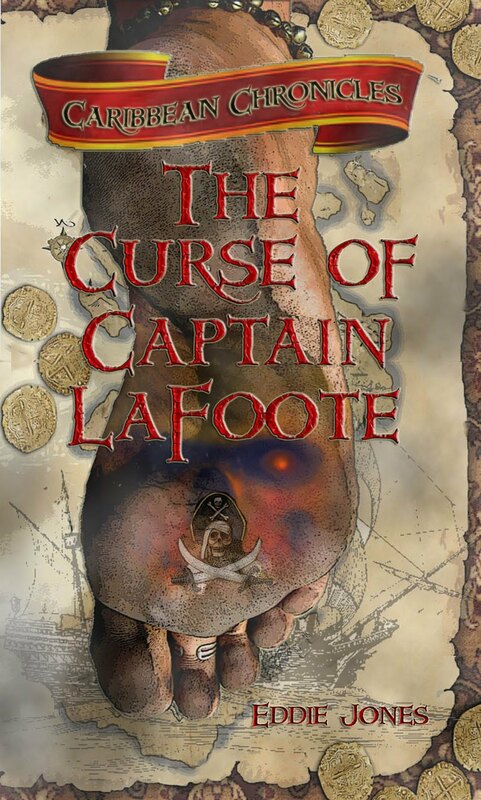 LaFoote's a good 'un. Glad you all are enjoying it.